The “take charge” attitude that permeates a builder’s very makeup is easily channeled and tempered with proper direction and focus. Avoiding “one man rule” tendencies is as easy as one word: delegation. The effective executive delegates rather than performing all critical tasks. However, successful delegation requires that responsibility and authority also be delegated. Herein lies a problem for the executive–“hands off” management. An experienced founder’s abilities and characteristics relate to starting and preserving a good business idea. Chief among those abilities would be creating a vision for the company, which is usually unstated but somehow understood. While it may seem a chore for others in the company, projecting a confident and self-assured image that appeals to prospective buyers comes naturally to the experienced executive. Additionally, identification of market opportunities and provision of top notch service to meet customer needs are focal points of the founder’s vision. Unfortunately, the ability to create a workable organization to achieve company goals and objectives may prove more elusive. The business owner who possesses the innate skill to attract others to pursue an unwritten vision may lack the skill to build an efficient organization. Clearly, employees are critical to the success of profit maximization in any business; it is their effort that keeps the wheels of progress turning. Most employees have spent careers in similarly sized (small) companies in the same industry setting–be that white collar or blue collar–with limited exposure to alternate environments. Consequently, their frame of reference in employer/employee relationships amounts to that which the founder and, where applicable, previous employers have provided. With limited cross-training in other professional disciplines, these members of the team have the least job flexibility and therefore generally welcome changes in work flow patterns that can make their jobs appreciably easier and more effective. While cross training or shared skill sets occur as a matter of necessity, job specialization is a focus of many small businesses. A certain “pride of ownership” can arise from this high degree of specialization. Fiercely loyal, most employees would rather sacrifice some temporary perks rather than leave a benevolent employer “high and dry” in a time of financial duress. Since the employees tend to be skill-oriented, they require a great deal of direction in defining work assignments. At the same time, they spend a lot of time observing the founder and mimicking his or her efforts; if the entrepreneur is a go-getter, they will learn to hustle on the job in order to meet production requirements. In short, employees can be extremely valuable in performing the legwork that makes the business optimization a reality. Employees are required to adhere to schedules, commit to the strategic plan, be willing to work long hours, and be brand ambassadors of the company in the community. Schedules governing production, documentation, and reporting must be religiously followed to ensure optimal work efficiencies. 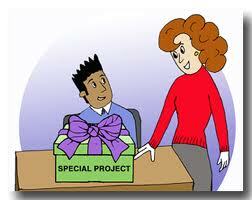 Time, budget, and administration constraints are to be respected and emphasized among employees and their supervisors. Mindful of how they represent the company, your people are the “front line” experience that others have with your brand. Whether buying from suppliers, meeting with customers, or serving in a local non-profit, they have an opportunity to make you look great–or not. When company plans cause inconveniences for employees, it should be up to the employees themselves to raise the issue with their superiors. Once they have been given the right to voice their opinions and concerns, they should be expected to fall in line with the plan. Failure to follow established guidelines should not be tolerated. Without respect of your core values, your employees should be replaced by those who can carry your banner proudly!